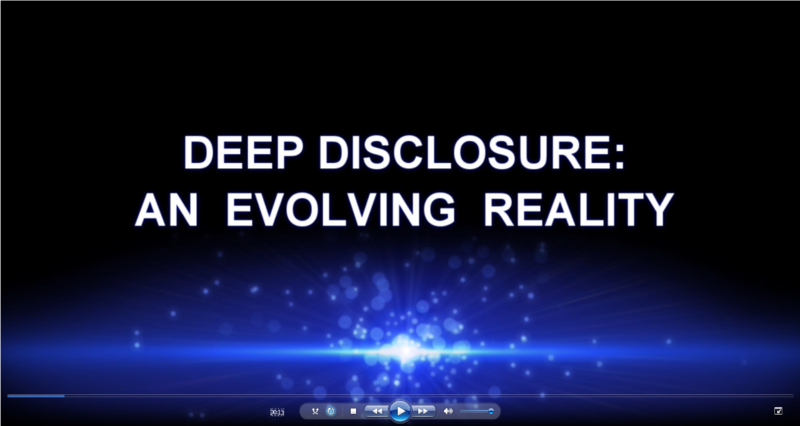 The fourth segment of the edgy, new, next level, interview program called: DEEP DISCLOSURE: AN EVOLVING REALITY is now posted and published up onto YouTube. The name of this fourth segment is: "AN INSIDER WITH GLOBAL ASSETS ". As many of you might be aware, this is a very unique time in history. Humanity has seen many things coming to light lately. There are many shows talking about disclosure, deep state, pedo-gate, memo-gate, Trump draining the swamp... let alone the number of shows and reports on the subject of the Dinar currency, and others, the RV, GCR and discussions of new financial systems and crypto currency solutions. This interview show will cover all the current hot topics. And it will continue to reveal... next level information. Deep Disclosure is an intersection of three subject veins that combine all the above topics I cited. It will be a... triple dose of truth! In each segment I will continue to interview two (2) top insiders, "M" and "MsM", who collectively have very, very high level knowledge on all the subjects I cited in the second paragraph, and various even higher, top level contacts, who have their 'fingers' on the pulse of the many aspects of change that are happening right now... which are and will be affecting the human race, here on planet Earth. All of the other segments are also up on my YouTube channel ~ Transformational Shift Events. Hopefully, you will find this information as highly informative & compelling as I continue to!